From June 20th to June 30th 2013 GIMUN organized a study trip with 15 young and motivated students on the subject of minority rights protection in Bosnia-Herzegovina: Have a look at the first pictures! For the second time, the Swiss National Youth Council organises in the framework of its East Project a regional exchange meeting to deal with the current challenges of youth organisations especially in the Balkans and Moldova. 20 participants from the region as well as 2 participants from Switzerland are invited to participate in this great event taking place in the beautiful mountains of Macedonia, in Mavrovo National Park from 31st August to 4th September 2013. This year's topic deals with conflict transformation, internal and external to youth organisations, and the learning of methods and tools towards non-violent communication. Fees are fully covered. More information in the Call for Participants. Send your application until 31st July to Fanny Charmey (fanny.charmey@sajv.ch)! Dear Friends, Please find herewith the latest GIMUN Newsletter, in English. We hope that the provided information will be of interest to you, and we send our best regards. 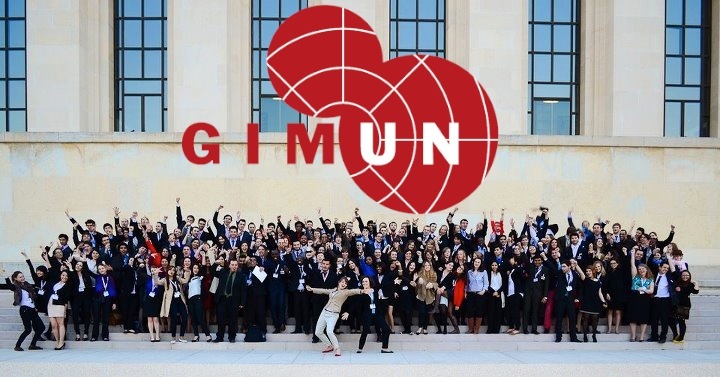 A new GIMUN Executive Board has been elected for the year 2013-2014, and GIMUN is therefore looking for new students to get involved in the NGO! Please consult the different positions below and apply for the position which interests you. Please note: Most positions require presence in Geneva or the surrounding areas. Please check this carefully before applying. To be eligible to apply, you must be a student (please see the statutes of the association). Moreover, all jobs within the NGO are unpaid. Would you like to start a career within the United Nations? Will you be under 32 at the end of this year and master English and/or French? Then YPP is made for you! The Young Professional Program is a unique opportunity to gain access to an international career right after your studies. The candidates who successfully pass the selection process established for this program will be offered a position within the United Nations system. The year 2013 will be the last opportunity for Swiss nationals to apply to the program as national quotas will be reached for the following years. Now is the time to seize this chance! Acknowledge the detailed descriptions of the different positions being offered and the different requirements along with additional information on the United Nations Career Website.